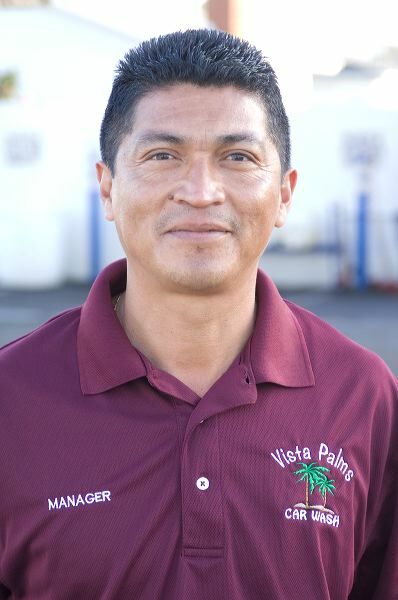 Vista Palms Car Wash has been a south bay Icon and active member of the Chula Vista community for over 50 years since 1958. 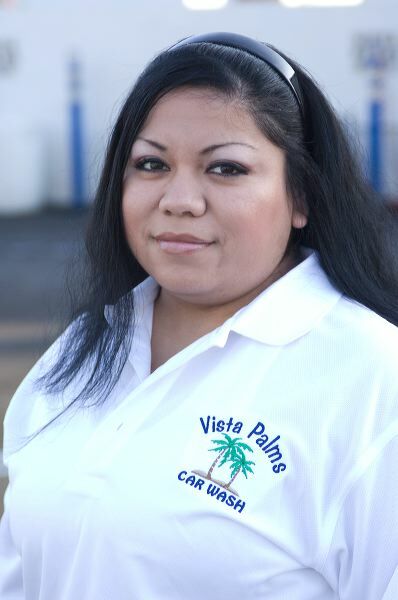 Vista Palms Car Wash & Professional Detail Center is one of the longest running car washes in Southern California. We have been a south bay icon and active member of the Chula Vista community for over 50 years. Having opened our doors in 1958 we have washed and detailed detail over 5,000,000 vehicles. Over the years we have been recognized as the industry leader by various publications and consumer surveys. Most recently our endeavors and superior service were recognized when Vista Palms Car Wash & Professional Detail Center was voted SAN DIEGOS #1 CAR WASH & DETAIL CENTER. We were voted #1 out of 224 car washes and detail shops by customers throughout San Diego County. The reason why is simple, because from the moment you pull up the only car that matters is yours. We will detail your vehicle to your complete satisfaction each and every time. Our trained industry professionals have the skills and experience necessary to bring your vehicle to its best possible condition. We provide high quality Full Service, Express, and VIP Hand washes as well as Professional Auto Detail services, dent/scratch removal, bumper/wheel/rim repair, scratch/oxidation removal and much more. The atmosphere here is fun and friendly. Come on in and grab an ice cold drink, grab some snacks, watch the game, or surf the internet while you wait. Our goal is to provide superior customer service and attention to detail to every customer. Getting your car washed at Vista Palms Car Wash and Professional Detail Center means you’ll drive away with a show room shine and a smile every time! All we ask for is ONE opportunity to show you how. At Vista Palms Car Wash & Professional Detail Center we offer a multitude of services to fit every need and budget and provide the best service possible with professional competition grade detailers on staff. Over the years Vista Palms Car Wash & Professional Detail Center has helped prepare some of the car show industries most demanding competitors for competition. Some staff members have personally been trained by industry juggernauts like McGuire’s, Turtle Wax, Amoral, Mothers, and Blue Corral. Our desire to exceed expectations continues year after year. We pride ourselves in superior customer service, environmentally friendly systems, state of the art equipment, and our meticulous professional personnel. Our full-service detail department is available to help you maintain your vehicles appearance and needs. Simply stop by and our knowledgeable staff will gladly make recommendations on maintaining or restoring your vehicle. Detailing is our specialty. If you can get it here we can make it "car show" clean! Cars, trucks, motorcycles, motorhomes, boats, trailers etc... Services offered include; car show service, clay oxidation/over spray removal (paint/chrome),Teflon application (ask for specials average savings over 50% off typical dealer cost), scratch/ swirl/ water spot removal, orbital or hand wax application (liquid, cream, and paste), exterior polish and buff, glass & chrome polish, plastic molding re-hydration, bumper repair, wheel/rim polish & repair, upholstery; steam cleaning/ stain removal/ shampooing, headliner cleaning, carpet; protection/ shampooing, leather cleaning & conditioning and more! We want to keep our environment clean and so should you! That’s why washing your vehicle at a Blue Coral Beyond Green Certified car wash like Vista Palms Car Wash & Professional & Detail Center ensures that unsafe contaminates like oil, grease, and used soapy water enters our water reclaiming system where it is processed and reused. This is unlike driveway car washing at home that wastes millions of gallons a year and deposits all runoff water along with the debris and contaminates from the dirty cars directly into the storm drains. This storm drain run off empties into and pollutes the lakes, rivers and beaches that we San Diegans love. 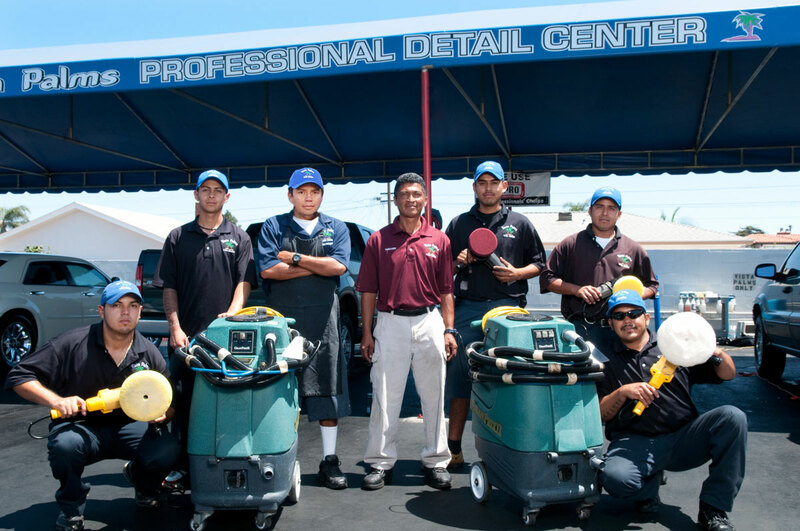 At Vista Palms Car Wash & Professional Detail Center we use San Diego’s most advanced water reclaiming system and latest in high performance brushes and environmentally friendly chemicals. Vista Palms Car Wash & Professional Detail Center is one of the car wash industry leaders in environmentally friendly services and products.